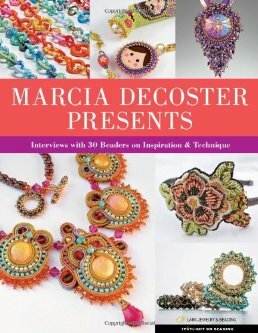 And just when you find yourself in need of some major inspiration, along comes number two in the Lark Books series "Spotlight on Beading": Marcia DeCoster Presents - Interviews with 30 beaders on inspiration and technique. Do you remember my review for the first in the series, Suzanne Golden Presents? Well, this volume is another of those WOW books that I just couldn't put down. Marcia has been incredibly prolific herself this past year, and now this time you get to sit back and enjoy the work of other artists that she has specifically chosen to showcase, not only for their beautiful work, but also for their ability to communicate their inspirations and methods. Like the first in the series, this is not a how-to book, but it will certainly set you running off for your needle, thread, and beads, unable to resist trying out a little something or other that hits you between the eyes as you read. I can't pick favorites, it's just so unfair. 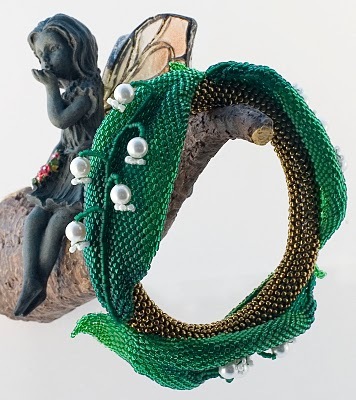 However, there are a few that I've become more familiar with lately, such as Cynthia Newcomer Daniel and Nancy Dale, because they are participating in the Bead Journal Project that I do each year. It's a thrill to see such talented people honored with a spot in Marcia's book. One major difference between this book and Suzanne Golden's is that Marcia has chosen artists who all work with seed beads. Some of them work with other materials as well, but seed beads are primary for all but one or two of them. 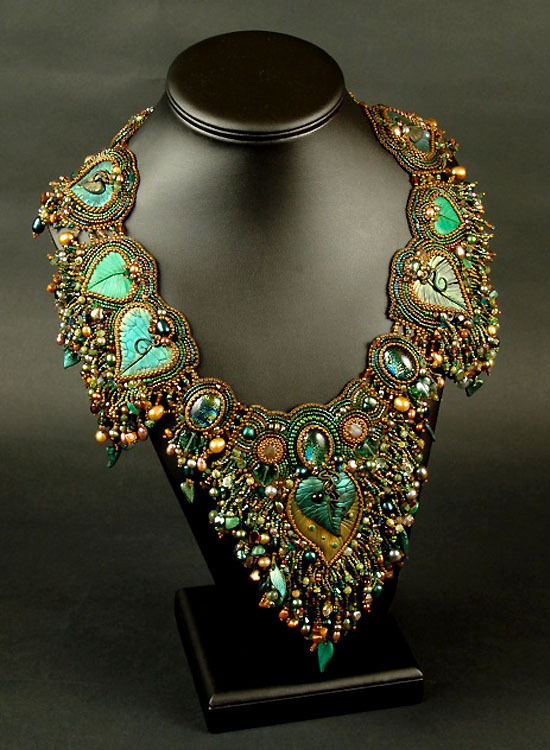 And jewelry is a primary for most as well, as opposed to non-wearables. So if you love seed beads, or you just like to admire them, make sure you get to see this stunning book!